Our amazing dental team puts patient care, comfort and safety first. They truly understand customer service. From the first phone call to our office to your first dental visit, you will be treated with respect, dignity and compassion. It’s all about you! Our highly trained front office administrators will help make checking in and scheduling appointments as smooth and as stress-free as possible. They will file your insurance claims as a courtesy and help you navigate through the dental insurance mine-field so you can receive your maximum dental benefits. Their number one goal is to make you feel relaxed on the phone and comfortable at the front desk with the financial and insurance aspects of dentistry. When you come in for a cleaning, your find our hygienists are gentle and caring. We want to keep your teeth and gums bright and clean, and recommend that you come in every six months for regular appointments. Our hygienists, like our doctors, operate in a “no lecture zone” – meaning you’ll never be lectured or talked down to about your dental health. Of course, that extends to your family members as well, be it the children or your spouse. If it’s found that you need treatment, we’ll simply tell you what we’ve found and the doctor will make a recommendation on the best course of treatment. 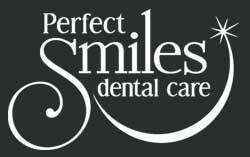 Our gentle and caring team of dental hygienists will keep your teeth and gums squeaky clean and bright. They also work in a “no lecture zone” environment. Meaning, they will never lecture you or your family members about why the condition of your teeth and gums are the way they are. They will simply make recommendations on proper home care techniques so you will ultimately have healthy teeth and gums. Come in today to find out why so many patients in Lenexa and the greater Kansas City area have been coming to see us year after year!